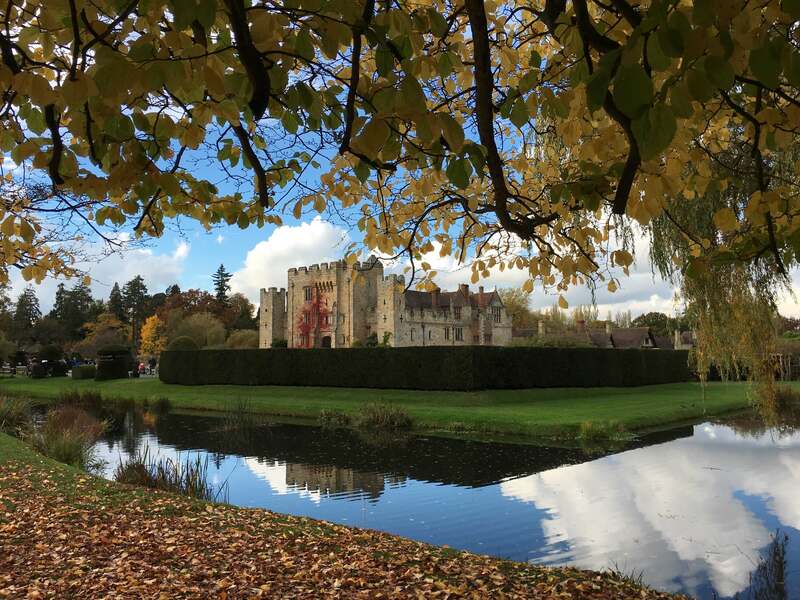 Hubby and I took a short trip to Eastbourne this half term, and on the way home we decided to take a little detour to Hever Castle. Hubby used to visit Hever Castle a lot as a child and has fond memories of days out there. I’m really interested in Tudor history and, as Hever Castle is the childhood home of Anne Boleyn, Henry VIII’s second wife and mother of Elizabeth I, hubby thought I’d enjoy a visit. We arrived at lunchtime and our first stop was a picnic by the lake. It had rained in the morning but fortunately the sun had come out and we were able to enjoy the beautiful autumnal colours in the grounds. 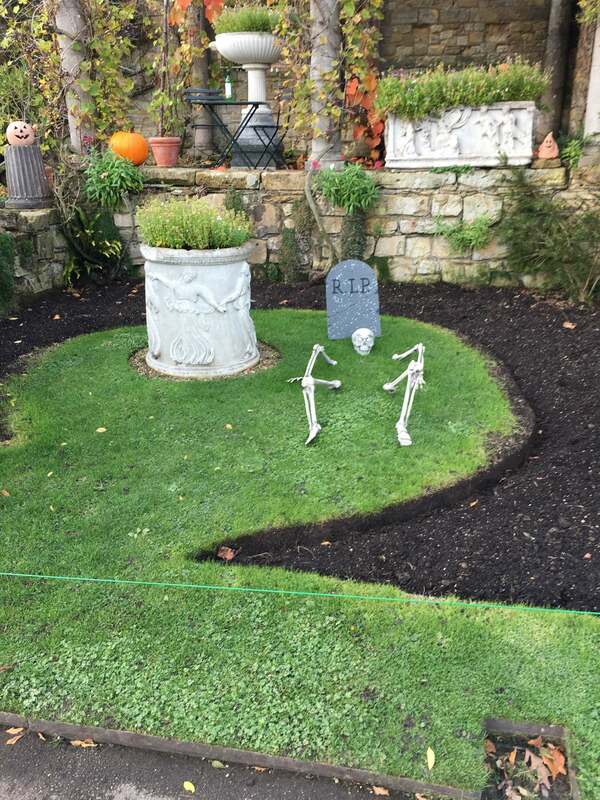 We then had a wander through the gardens towards the house – Hever Castle had made quite an effort for half term and there were some funny Halloween-themed decorations to spot in the gardens which seemed to amuse most visitors, of varying ages! They were only in a small section of the gardens so not too scary for little ones or overdone. There was also a ‘haunted house’ up by the Dahlia garden which looked like a very large tent, we didn’t go in but they had hourly tours – when we went to have a look 15 minutes before the next session there was already a queue of children forming. As we didn’t have a child with us we didn’t feel we could go in! Next to the castle itself is a topiary maze – there were rather a lot of puddles but we made it to the middle! There was also a water maze in the grounds that looked great fun – if you take a wrong turn you step on paving slabs that activate water jets – it was interesting watching children of different ages enjoying it and trying to outwit the maze in different ways! There was also archery on offer on the way to the maze – apparently this is available at weekends and during school holidays. The castle itself was very interesting – there was just the right amount of ‘writing’ to bring the house to life and inform you about its most famous occupant, Anne Boleyn. There was also lots of information about the most recent owners, the Astor family, and how they changed the house to how it is today. As an adult, this was my favourite part of the visit, but there were a few children rushing about the house not really looking at anything, so I don’t think it was their cup of tea and I think if I had small children I’d save some money and just buy a ticket for the grounds, as there is so much for them to do outside. In addition to the activities mentioned above, there was a very exciting-looking adventure playground and castle fort play area. With regard to other facilities, the toilets were clean and easily accessible and I saw a couple of baby change areas. There is a restaurant as well as a cafe, and both looked as though they had a good selection on offer, although we took our own food with us so I can’t comment on quality or value for money. All in all, we spent a several hours enjoying Hever Castle and I think if we’d had children with us we could have easily spent the whole day there as there is so much for children to enjoy. None of the activities seemed to cost extra in addition to the entry fee. I don’t think Hever Castle is particularly cheap to visit, but I’m really pleased that we went and if we’d planned ahead, we could have boosted some of our Tesco vouchers which would have made it a lot cheaper. 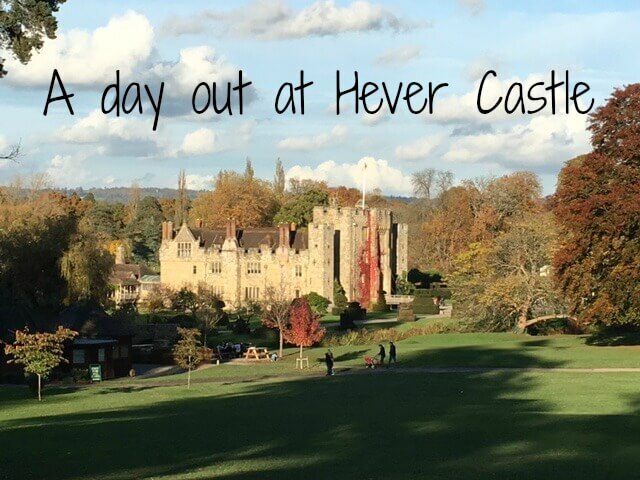 All in all, I’d recommend a visit to Hever Castle this half term if you’re in the area! It’s definitely worth a visit. N.B. 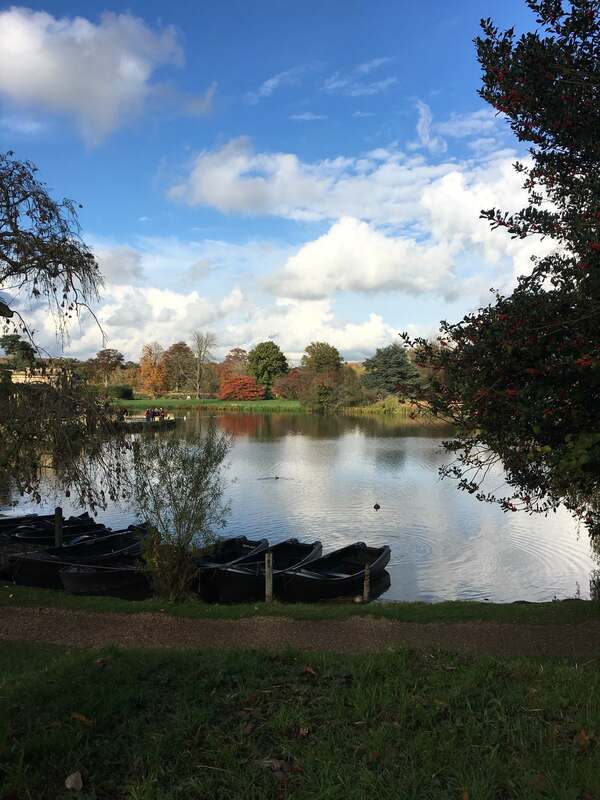 We paid to visit Hever Castle ourselves and just wanted to share our lovely day with you!